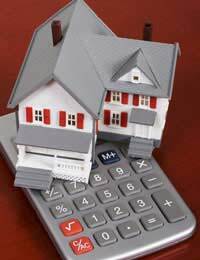 Financial careers in housing can be both challenging and financially rewarding. The housing sector employs over 150,000 professionals in a range of different jobs. Housing sectors can include local authorities and housing associations, and there are good career prospects, salaries, and benefits in both areas. If you want a job where career progression is encouraged and where support and training are available then the housing sector will be a good option. The housing sector is also a good choice for employees who wish to see their work making a difference to the community. The housing sector provides homes for over 10 million people, and employees are dedicated to providing a high level of service to their tenants. There is always a high demand for qualified and trainee finance professionals in this sector regardless of which area of housing you choose. There is a wide range of finance careers available in the housing sector and also the chance to specialise within this sector. There is a high demand for qualified financial and management accountants and there will be training available for the right employees. Studying for various professional qualifications is encouraged and will lead to further career progression opportunities. Professional finance qualifications can include the Association of Accounting Technicians (AAT) and the Chartered Institute of Management Accountants (CIMA). There is a shortage of qualified employees in the housing sector so those with the required skills and qualifications will be looked on favourably. Diplomas such as a Higher National Diploma (HND) and degrees in finance, and business and administration will be helpful. Other required skills will include good IT skills and a high level of accounting skills. Good oral and written communication skills are also necessary as well as leadership and negotiating skills. Finance careers in the housing sector can be started by applying for support roles within finance departments. Local authority housing jobs are usually advertised in local newspapers or online on their own websites. Housing associations will also advertise in newspapers and on websites. Both areas will also employ staff through recruitment agencies. Entry level jobs are a good way of starting a finance career and in housing training will usually be provided for employees who show aptitude for this type of work. There are recruitment agencies with departments specifically aimed at recruiting finance employees within the housing sector. Agencies will have a wide range of contacts within local authority housing and housing associations. Job searches can be conducted online and job seekers can upload their CVs, which will then be sent to prospective employers. Recruitment agencies will be able to find jobs for both qualified professionals and those looking to start their finance careers. There are good career prospects for those willing to pursue professional finance qualifications. Housing associations will have their own dedicated finance departments and there is a set employee level structure within these departments. Financial staff will support senior employees including financial and management accountant managers. Above the accountant managers will be a deputy director and a finance director. For those starting off their finance careers it is worth considering that these senior level jobs can be achieved by gaining professional qualifications and having the right amount of work experience. Finance careers in housing offer excellent starting salaries and benefits, which usually include medical cover and pension schemes. If you are looking for a career where you will be giving something back to the community and learning skills that will help you progress up the career ladder then the housing sector may be a wise option.